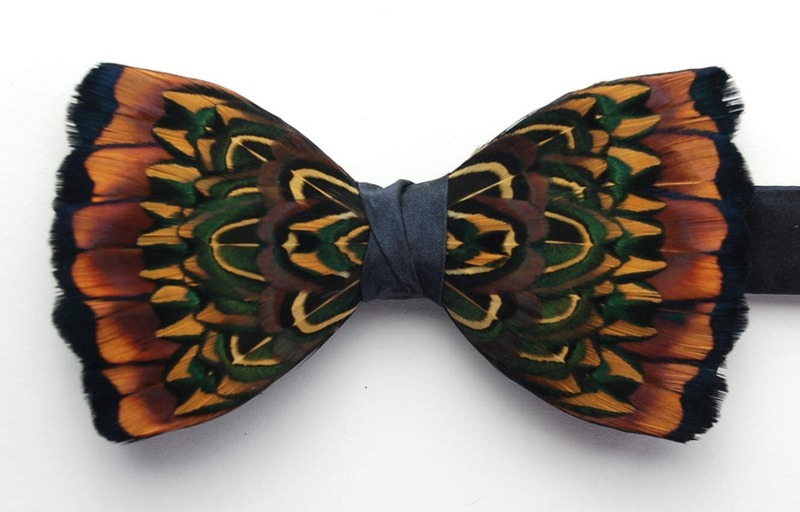 COVENT GARDEN pheasant feather bow tie. Covent Garden is vibrant and artistic, with a colourful history of influence and innovative design. 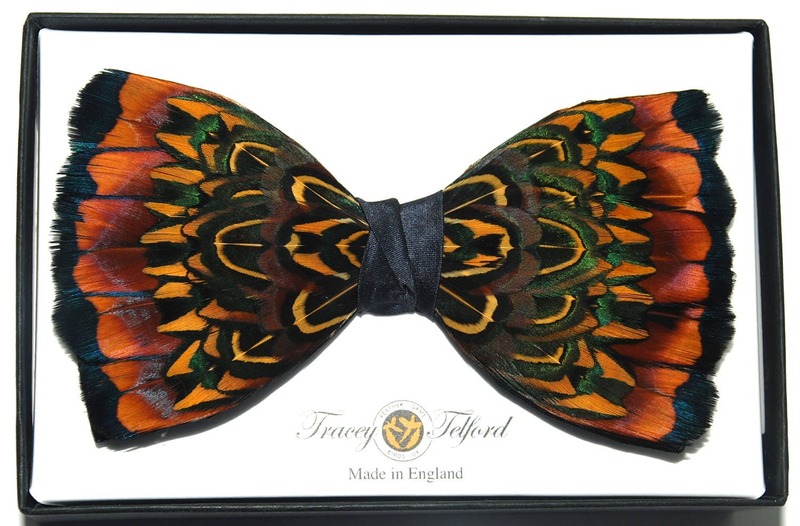 Composed of genuine pheasant feathers and luscious shades of gold, green and sweet caramel brown, this Covent Garden bow tie, by plumassier artist Tracey Telford, has been designed to deliver the flare of the footlights and pizazz of the piazza. This Covent Garden is set on a quality black 100% woven silk double bow base, however, being individually hand made, it can also be made available on quality satin, and a range of others base colours could also be selected, to align with your preferred design aesthetic. This is so beautiful! It’s well made and unusual. I bought it for my son to wear at my daughter’s wedding and it was much admired by all the guests. The bow ties are perfect for black tie dinners etc and make a perfect gift. Also the customer service was fantastic. Messages were answered promptly and well after normal working hours! The tie was delivered to me in plenty of time, even though I had ordered it very late. Thrilled. Thank you. Will definitely be back!